“Hey Mom, I need some apple recipes . . . it’s apple season!” written in a text to me from my son in Chicago this week. 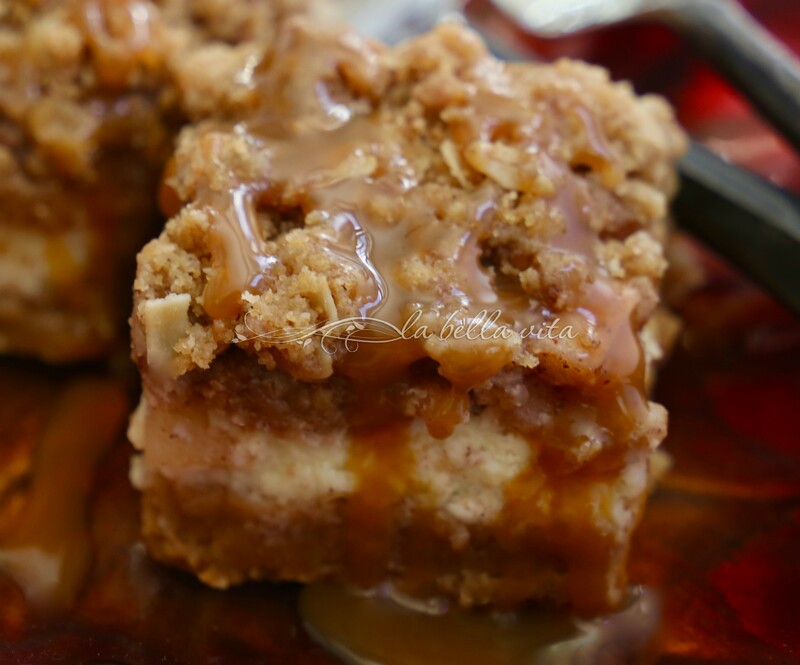 Although he was really wanting a new pie recipe, I had my heart (and my husband’s dessert-loving tummy) set on baking these outrageous Apple Caramel Cheesecake Bars instead . . . the apple pie recipe will come . . . just later, I texted back to him. With the cooler temperatures of autumn quickly approaching, it’s time to get baking again. And what better to bake with in the crisp, golden days of fall than fresh apples? Apples coated in cinnamon and sugar, then baked and topped with a heavy, crunchy topping, and then . . .
drizzled with fresh caramel sauce? 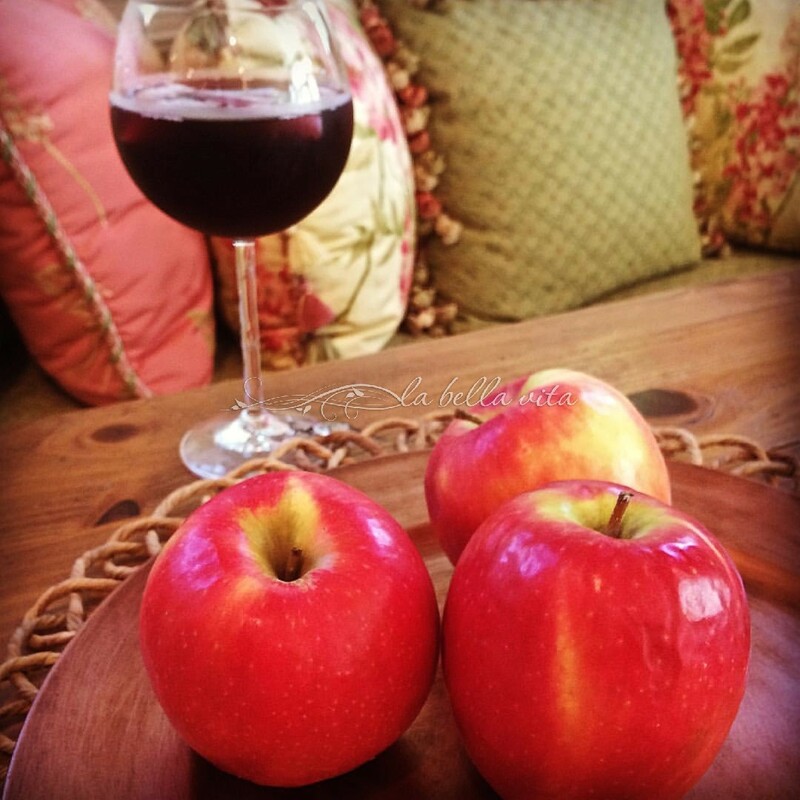 Why not enjoy a nice glass of wine while preparing your apples? Open up the windows, or go outside and enjoy all of the season’s fresh air! These “Pink Lady” apples are so vivid in color, aren’t they? 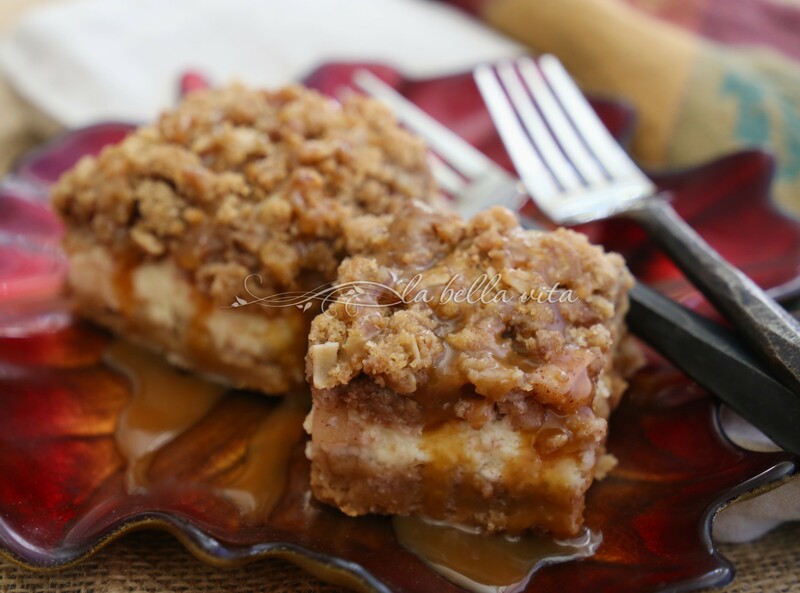 The streusel topping, caramel and cheesecake…you have all my favourites in just one cake. Brilliant! My favourites too Angie! Another common love among friends who love to cook and bake! Thanks Liz and Anna, this is definitely rich and small size bars are all needed to get a yummy sweet fix! “Outrageous”? Quite possibly. I have enough apple pie recipes so I’ll add this to my fall baking file. Thanks Bonnie! I’m ready to start baking again with all of this cold weather that we’re having here in the South this month! una golosa merenda da fare ! Buon weekend Roz, un bacione ! I wish you a wonderful weekend Chiara! I know that you will be cooking or baking something delicious! These cheesecake bars look delicious. I could eat the whole batch. I almost got to eat one of the cheesecake bars, but my husband ate them all! Better for my hips this way, Annamaria! LOL! And may the delicious force of apples return upon us in the fall again, Susan! These look delicious, I want to make them this week for company! Could you line the dish with parchment paper instead of foil? I am worried about the bars sticking to the foil. 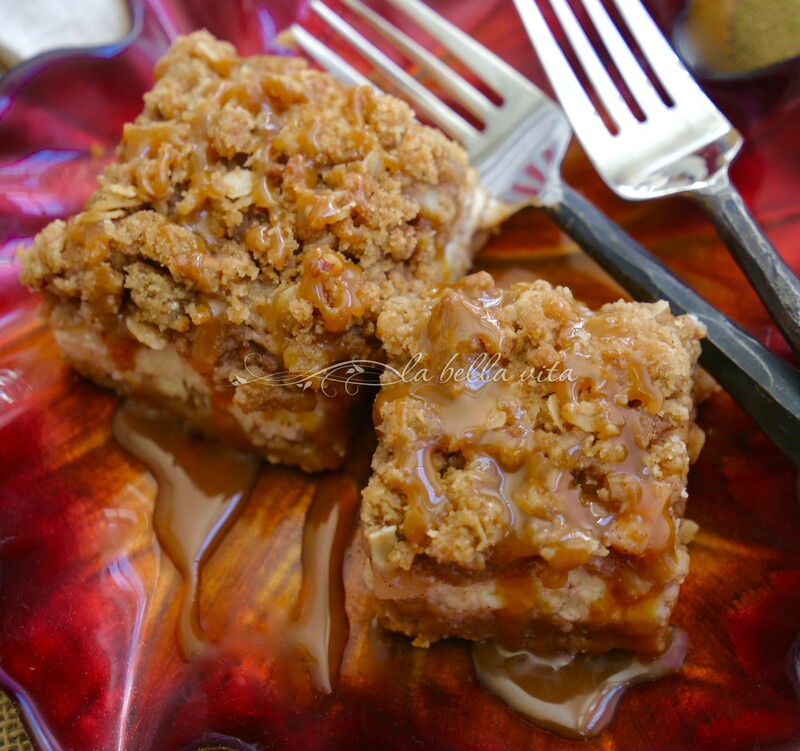 These apple caramel cheesecake bars would make a great dessert. Have to make them this week. You’ll love them and so will those who you serve and share them with!